IMCDb.org: 1939 Hillman Minx Phase I [R.I.P.] in "Look at Life: The Muscle Men, 1961"
Sounds like fun , exactly the kind of thing Health and Safety has killed in UK . Hillman New Minx 1938 to 1939. 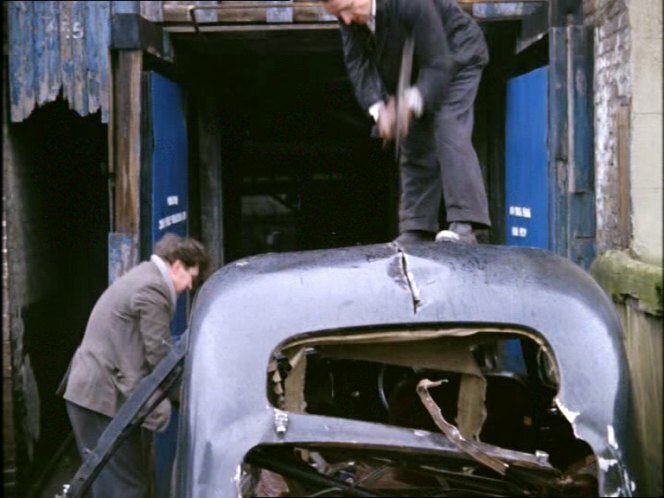 Best thing to do with it was chop it up, I was always trying to get the Old Man to buy cars that weren't a Morris, and there were two makes he wouldn't touch with a bargepole, Hillmans and Vauxhalls. We had a Citroen once, and he even looked at a Borgward Isabella and a Jaguar 2.4 MkI, but then bought another Morris. The last car I chopped up like that was a Ford Cortina Mk I 1500 I had bought for the engine. Having reduced the body to manageable pieces we put it in the trailer and took it to the scrapyard. Come on dsl, you know I had four Hunters on the trot in the 70s! Mind you, the firm bought them. I even bought the first one off the firm, LFD 479L, it was about 3 years old by then, and had 100k miles and a shot gearbox after a year as the factory hack. I think I paid £90 for it, replaced the gearbox with a recon from a firm on the Warwick Rd in Brum, and sold it at a good profit. johnfromStaffs wrote ..from a firm on the Warwick Rd in Brum. George Heath Garage??? Familiar ground - they were the collection point for my dads's Rootes/Chrysler employee lease cars. Sorry, no, this was some cheapo outfit out of a shop front, not genuine Rootes parts. My boss bought the cars from Skippers in Trindle Road Dudley. 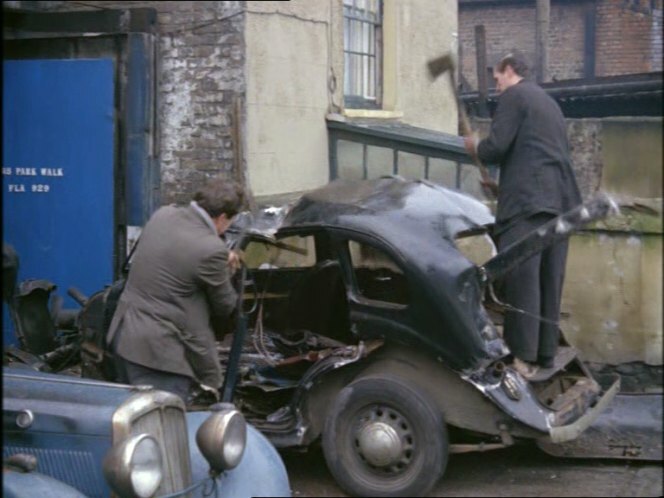 Were you not in sympathy with the Cortina I destroyed? I actually used the engine to save another Cortina. 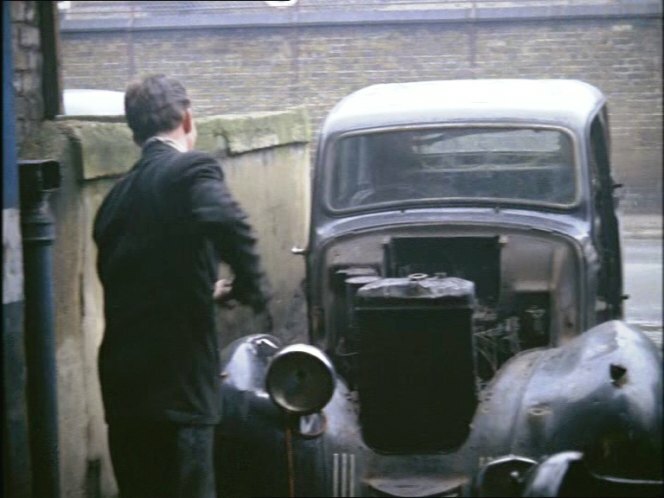 Hmm...First Hillman based on the "R.I.P." chassis on the site. I fully appreciate and applaud your loyalty to the Rootes marques, even if only because it provides me with a reason to pull your leg, but I'm sure that you can see the reasons that an Audax cannot bear comparison with the Archbishop. Having driven both over many miles I would certainly prefer the Ford, especially if I was buying the petrol. The other major point is that Ford are still with us, although the cars may have less to do with that than other factors. It does also occur that the designers of Arrow may have had a sneak peek at what Fords were doing or had done. No argument from me with your comments. I think we had better finish before the management complains. In the UK yes! Caused by the meteorologic fact being an island over the rust is a much more common guest than in Continental Europe. I remember, how we dismantled two K 70-wrecks in Kingston-upon-Hall (btw. the owner still holds the plate "VWK 70"), placed outside since 15 years in 2000 to earn the RHD-specific parts as the steering-gear. No kidding, the only tool we had used, was an axe! Skid wrote Hmm...First Hillman based on the "R.I.P." chassis on the site. Skid wrote First Hillman based on the "R.I.P." chassis on the site. Real chassis code or not?? Is it just a joke (about this car is destroyed)?? Bastards - the axemen, I mean. I loved my 1936 Minx, EML 854, with non-opening boot and problems with keeping the engine watertight. Sold by me, 1971.